Sage knit hoodie with ivory drawstring details. Model is wearing a size small. Robin’s egg blue boxy Spring knit with cuffed 3/4 sleeves and rounded v-neck. One size fits all. A B&L best-seller! Cream boxy Spring knit with cuffed, 3/4 sleeves and rounded v-neck. One size fits all. A B&L best-seller! Pink, lavedner, mint green, and baby blue colored long sleeve deep v knit with fray edge detailing. 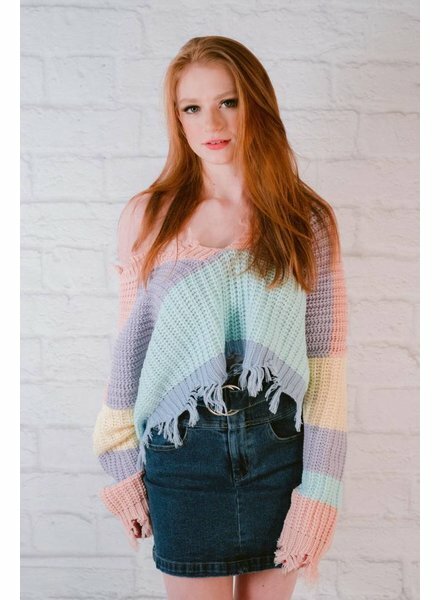 Model is wearing a size small. 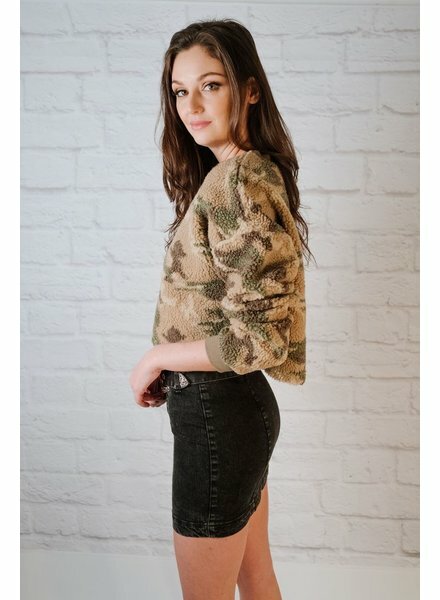 Camo fleece cropped sweatshirt. 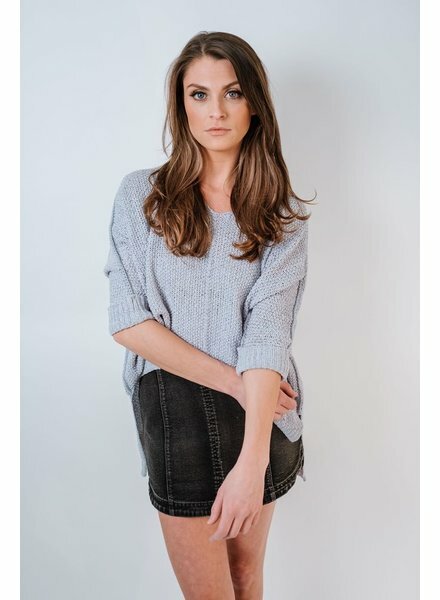 Model is wearing a size small. Cream knit flare sleeve sweater with open, cold shoulder, arm slit details and ribbon tie shoulder details. Model is wearing a size small.